Out of the clear blue, The Storm suddenly appears on the horizon. Within moments, the ecstatic response to one song on a tape turns into a flash flood and with all the thunder of big-time radio rock, The Storm comes fast and furious. 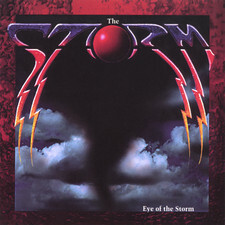 On The Storm's self-titled debut album, produced by Beau Hill and on their follow up "Eye of The Storm", co-produced by Nigel Green (who's credits include Def Leppard and Bryan Adams), Bob Marlette and The Storm, this San Francisco based quintet brings raw guitar intensity, a rhythmic punch, and a powerful and very unusual line-up of two male lead singers to both romantic rockers and emotional ballads. The band is led by Gregg Rolie who has had the unusual experience of having co-founded two of the most successful bands in rock history, Santana and Journey, in which he was the lead singer and played keyboards. Gregg was interested in seeing if he could reform Journey as Journey Beyond but that had fallen through. In founding The Storm, he started with a simple melodic lick that he wanted to turn into a song. After teaming up with Kevin Chalfant (they met at a San Francisco 49er's football game), who had already written songs for Cher and Starship and sung with the likes of 707 and Night Ranger, they wrote "Show Me The Way", and the seed for the band was planted. Once the initial record contract was secured, Gregg & Kevin enlisted the talents of bass player Ross Valory, drummer Steve Smith and guitarist Josh Ramos to round out the line-up. Josh had played guitar on the demo for "Show Me The Way" and had played with Kevin and Ross in a well-respected Bay Area band called The View. Both Ross and Steve were also former members of Journey along with Gregg, so it was a familiar and natural fit. The first album yielded two songs that quickly ascended the Billboard charts with "I've Got A Lot To Learn About Love" reaching #3 and "Show Me The Way" reaching #10. 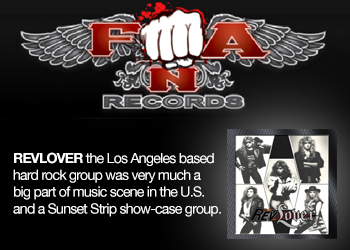 The album was near gold and the band was established as one that could deliver radio friendly hit songs. After the band's initial radio success it was time to tour. Unfortunately, Steve Smith was unable to accompany the band and, after auditioning a multitude of worthy candidates, was replaced by Ron Wikso. 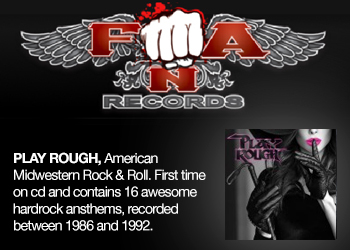 Ron has recorded and/or toured with Foreigner, David Lee Roth and Cher to name a few and was quickly deemed a good fit for The Storm. So, within a month of hiring a new drummer, the band received Bay Area Music Awards ("Bammie") for Best Debut Album and Best Single ("I've Got A Lot To Learn About Love") and a BMI Award for airplay ("I've Got A Lot To Learn About Love") and was off to tour North America with Bryan Adams. The first show the band ever played was in Cincinnatti opening for his "Waking Up The World Tour." After that tour, they continued their touring efforts with Peter Frampton, Eddie Money, Tom Cochrane and others, in addition to doing quite a few headline dates. After the success of their first album and after touring for about a year, it was time to begin the process of writing and recording again. The results of those efforts yielded the album "Eye Of The Storm" featuring songs like "Waiting For The World To Change", "Don't Give Up", "To Have And To Hold" and several others that possess the same quality and mass appeal as the first. Reaction to "Eye Of The Storm" has been nothing but positive. 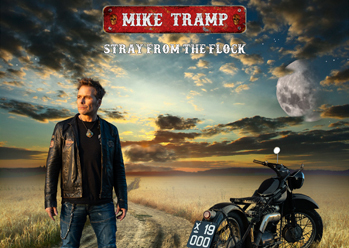 Quoting from reviews from both critics and fans alike people are saying.... "This CD blows away the first one and is every bit as good as anything Journey ever did! It's nice to hear Gregg and Kevin harmonize like the old Journey! Get it now, you will not be disappointed!!! Hot! Hot! Hot!".....and..... "Watch out, this CD takes over where Journey left off on "Frontiers"!!".....and..... "If you ever forget why you got into AOR music in the first place, this album will remind you why in no uncertain terms and in very quick fashion. This album has a huge amount of depth, just the right amount of variety and enough aplomb to win anyone over. If you were to buy only one AOR album in the whole of 1998, it should be this one!" "We have a constant groove" explains Rolie. "We don't play a lot of mental games with the music and the lyrics are pretty straightforward. If you don't get it, you've looked too far. The music is big sounding, you can wallow in it, but it's not pretentious." It would seem that with "Eye Of The Storm" the band has managed to take their music to new heights. Given their collective experience, that should come as no surprise. They're just doing what they do best, and they do it well. The Storm may have been laying low for a little while but, it appears it's about to unleash it's fury once again.